Today my cheetah-obsessed Sophia turned 9 years old. 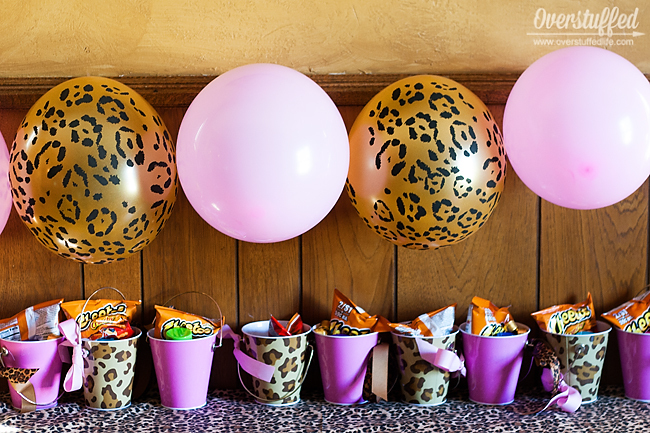 It pretty much goes without saying that we threw her a cheetah themed birthday party! I am not a big fan of throwing super intricate birthday parties. 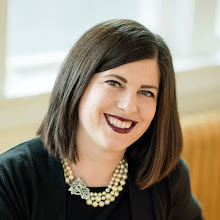 I was an awesome birthday party mom for one year a few years ago, and ever since then, I have been pretty low-key. The great thing about the cheetah party I threw today is that it looks like I spent a ton of time on it, but I didn't (insert evil laugh here)! With the help of online shopping, my older girls, and a few easy ideas, Sophia had an amazing cheetah themed birthday party with minimal effort on my part. Just the kind of birthday party I like. 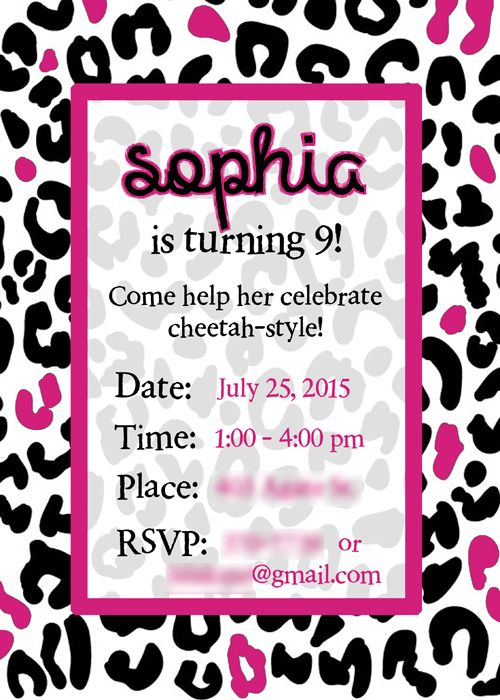 I whipped up this cute cheetah print birthday invite in Photoshop and printed it out on white card stock. I have a blank template available for (free) download here: Blank Cheetah Birthday Invitation. 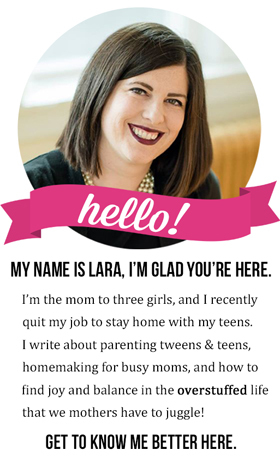 You can print them out and handwrite your birthday party details on them, or add the information in a photo editing program. Super easy! 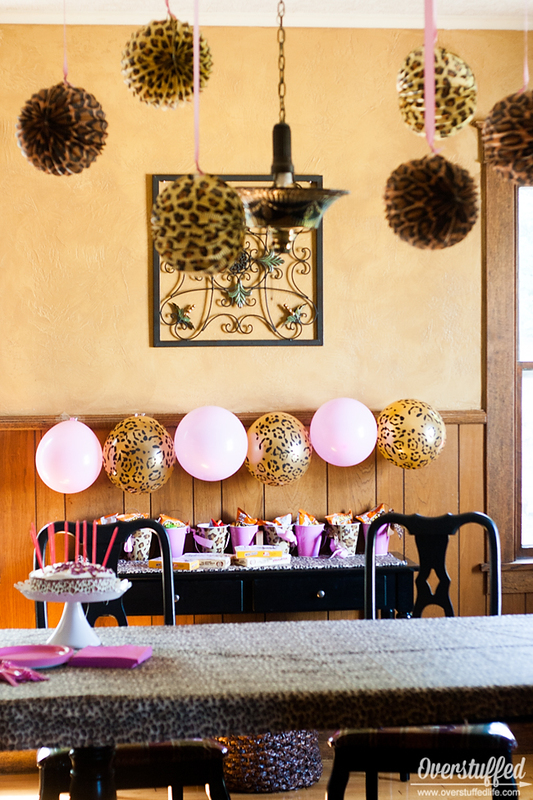 I do not like to decorate more than one room for birthday parties, even if we will be using more than one room. Too much work! I usually stick to decorating the dining room only, and that's exactly what I did today. I used some cheetah printed fabric (or maybe it's actually leopard print—either way, Sophia likes it all) for a tablecloth. I purchased about 2.5 yards from the fabric store. I chose the cheapest cheetah print they had, so it wasn't very much money. Now I'll wash it up and use it to make something or the other for Sophia. I purchased some cheetah and leopard printed paper lanterns on Amazon. (The package also included giraffe and tiger lanterns in case I throw a safari party or something.) I can't actually tell the difference between the cheetah and the leopard, but they looked nice together and were very festive! They didn't come with anything to hang them with, so I threaded pink grosgrain ribbon through them and taped them to the ceiling. The only other decorations I used were good old-fashioned balloons. Except some of them had animal print on them. I couldn't find any cheetah printed balloons locally, so I also ordered those from Amazon. 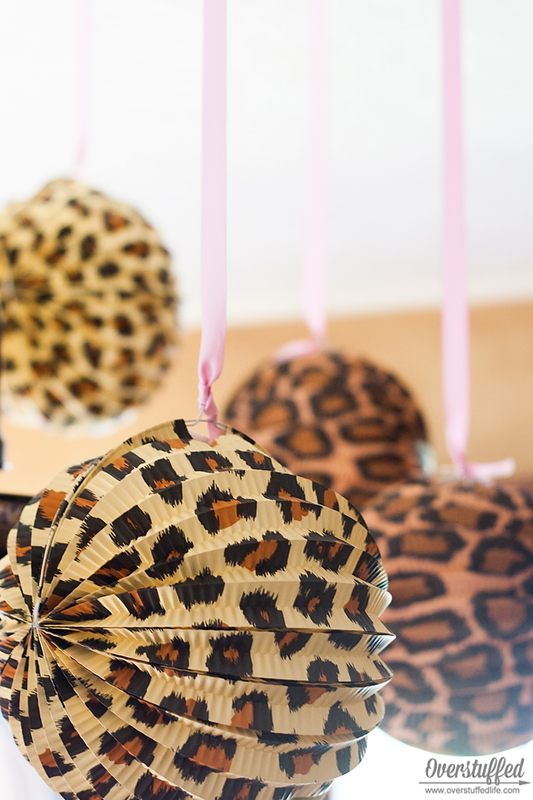 Turns out they are leopard balloons. I also used plain pink balloons to make it more interesting. Sophia and I found some cute little metal pails at Walmart in the party supply section. They had them in several colors and patterns, including animal prints. We bought both cheetah/leopard print and pink ones. 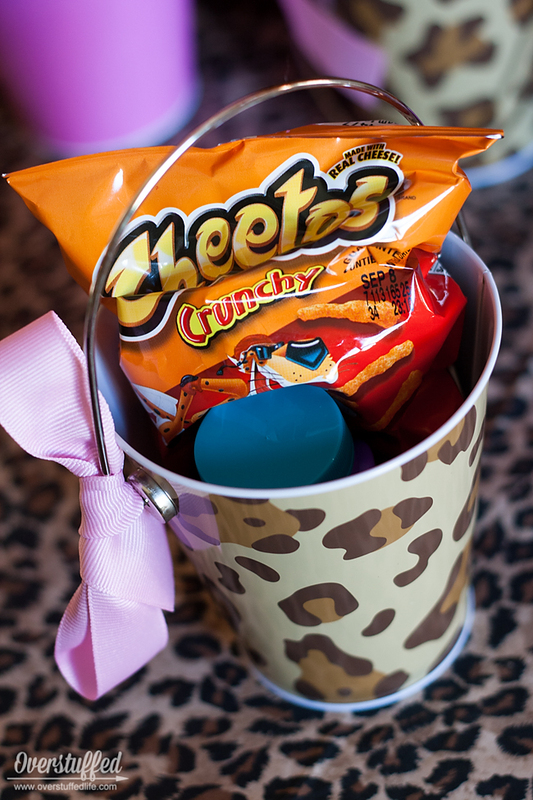 We decorated the pink ones with some cheetah ribbon and added pink ribbon to the cheetah pails. 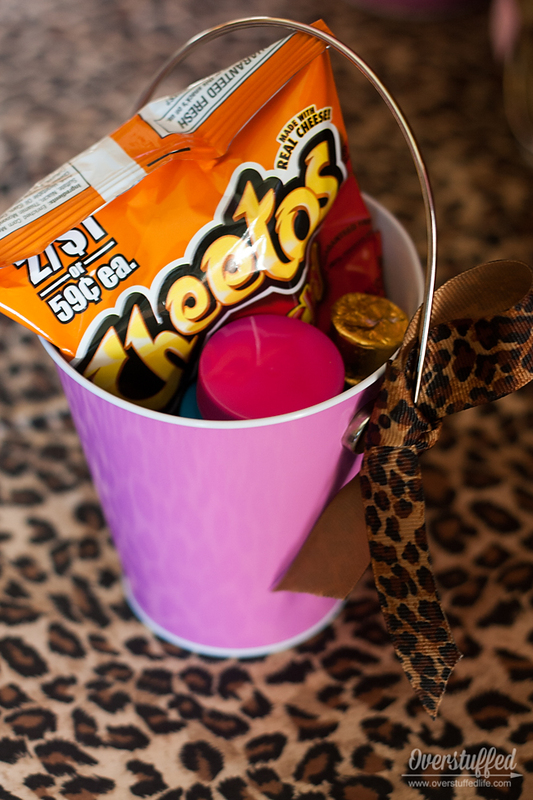 We filled the pails with Cheetos, bubbles, a handful of Rolos (because they look like cheetah spots! ), and some cheetah heart stickers. 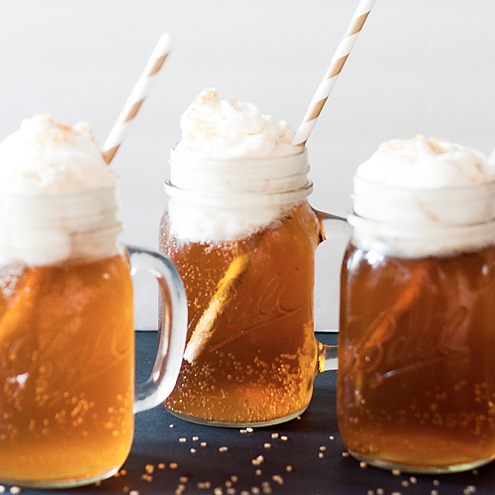 The nice thing about using the sturdy pails for party favors is that they also served as decorations until the end of the party. I love it when things do double duty! 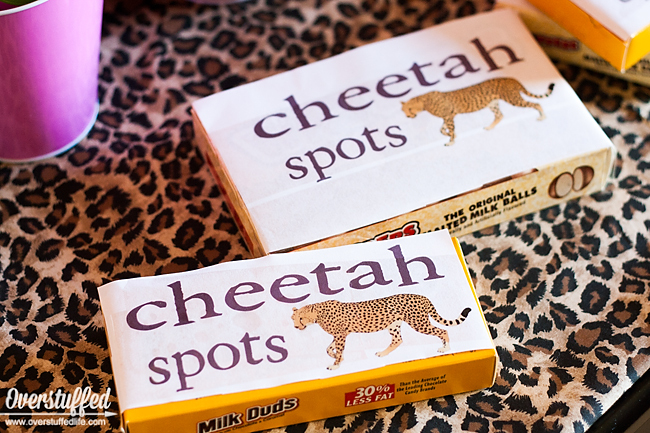 For game prizes, I bought big packages of Milk Duds and Whoppers (Whoppers are not gluten-free, but Milk Duds are) and re-labeled them "Cheetah spots." You can find the download here: Cheetah Spots. They were a big hit! Just print them out on plain paper, cut them to size, and tape them on with packing tape. Totally easy! The first game we played was "Cheetah Friends." This is our cheetah version of a familiar party game. I printed out animals the cheetah might be neighbors with and stuck one on the back of each girl attending the party. 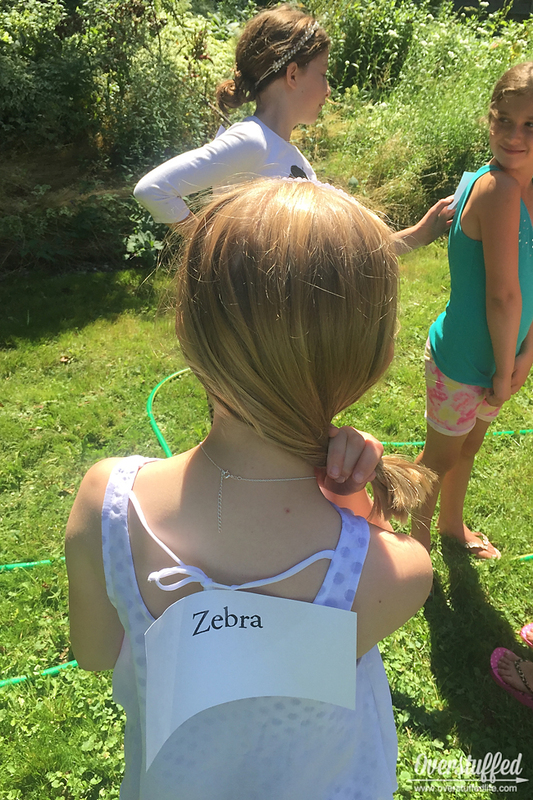 They then had to guess which animal they were by asking the other girls "yes" or "no" questions only. This is always a fun one to do first because sometimes the party guests don't all know each other very well. It's a good chance for them to learn each others names and break the ice by having to talk to one another. 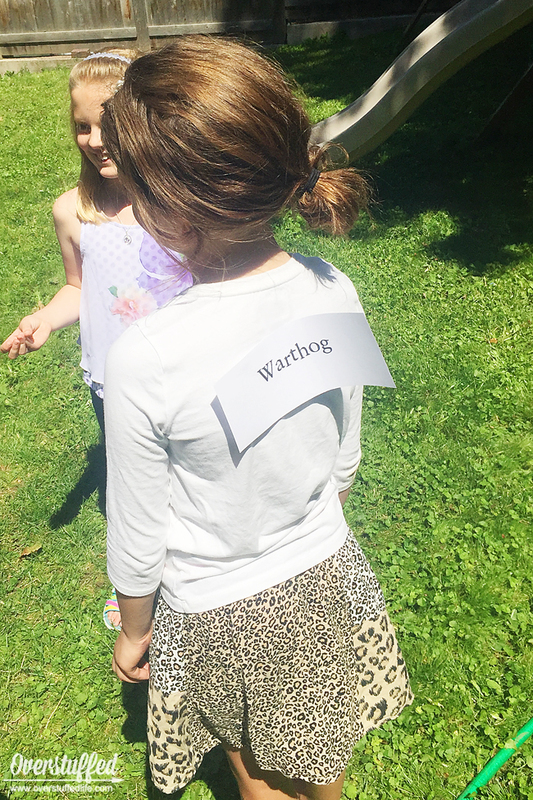 The next game we played was "Feed the Cheetah." 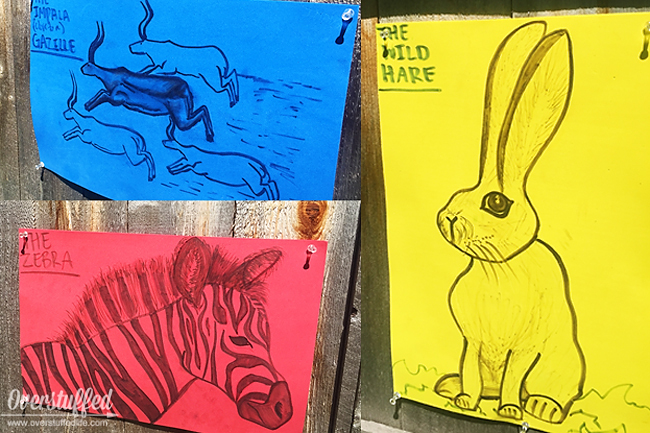 Bria and Chloe spent part of the morning drawing some of the animals that cheetahs eat on some large foam sheets. If you don't have artistically talented teenagers, then you can just print out some clip art onto the foam sheets or some heavy duty paper. 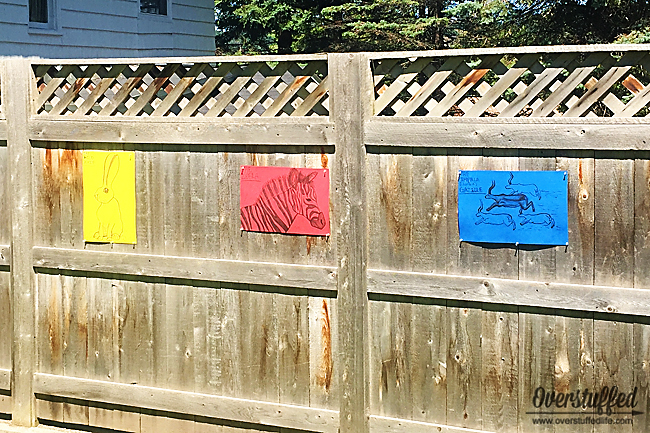 We hung the foam animal drawings on the back fence with thumbtacks. 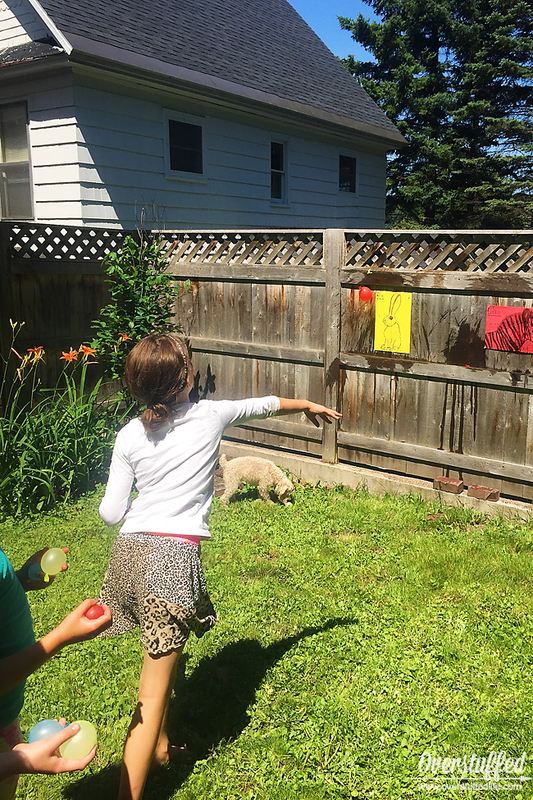 The girls then threw water balloons at their animal targets. Whoever hit the targets the most times won the game. While we were still outside we also ran Cheetah Races. Since cheetahs run super fast, we timed each girl running three laps around the yard to find out who was the cheetah speed queen. I was too busy timing them to take photos, but they had a blast with this one! Finally, we went back in the house and played another game. I don't have any idea what to call it—maybe "Cheetah Balloon Scramble?" 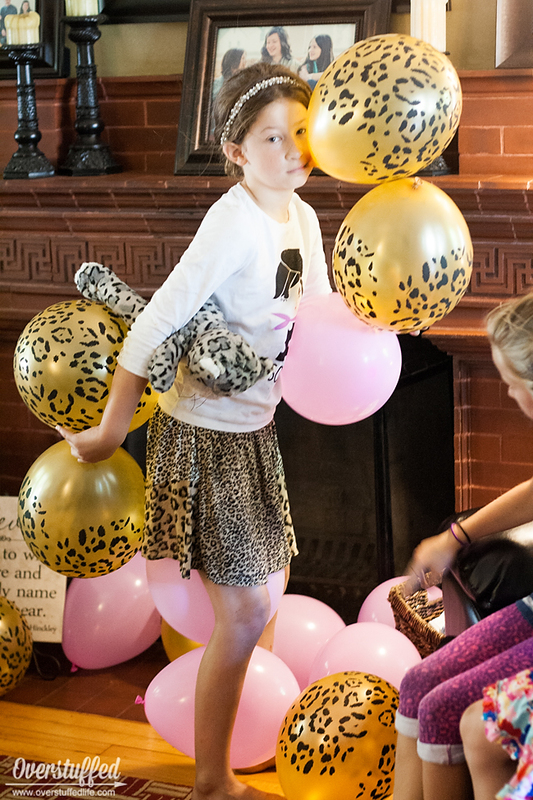 The idea is that each girl has to hold the cheetah stuffed animal (Sophia's idea) and then pick up as many of the balloons as she possibly can. It was great watching the different tactics each girl tried, and our winner managed to hold 13 balloons and the stuffed animal! Incredible! 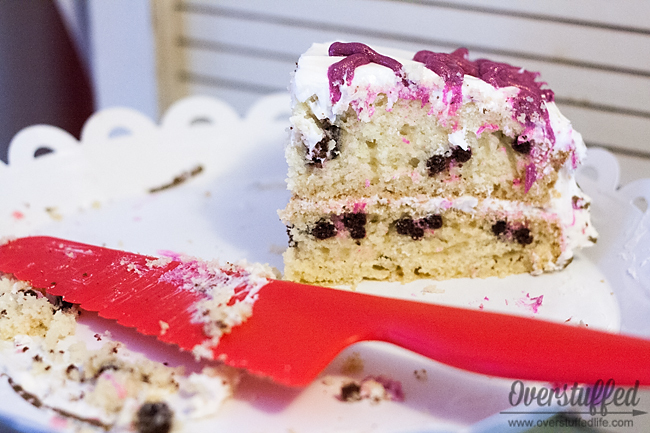 I found this video online which explains how to put cheetah spots inside the cake. While I wasn't as successful as the video was, I was pretty darn pleased with my results. Look! 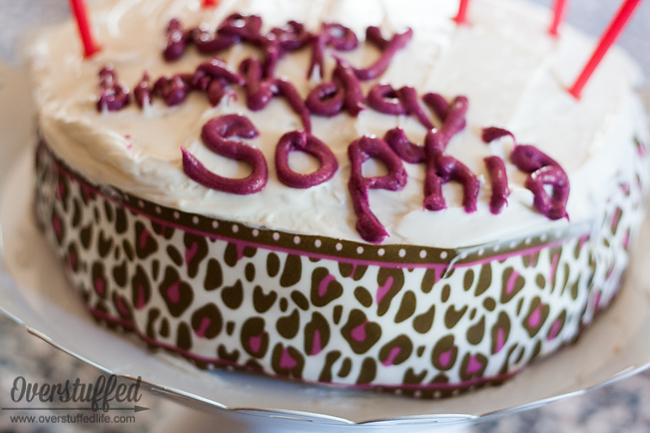 That's cheetah print (sort of) inside that cake! I did dark brown and pink to match the rest of the party. I think that gluten-free batter cooks enough differently that the technique didn't work as well, but I am eager to try it again someday to see if I can make it a little better. 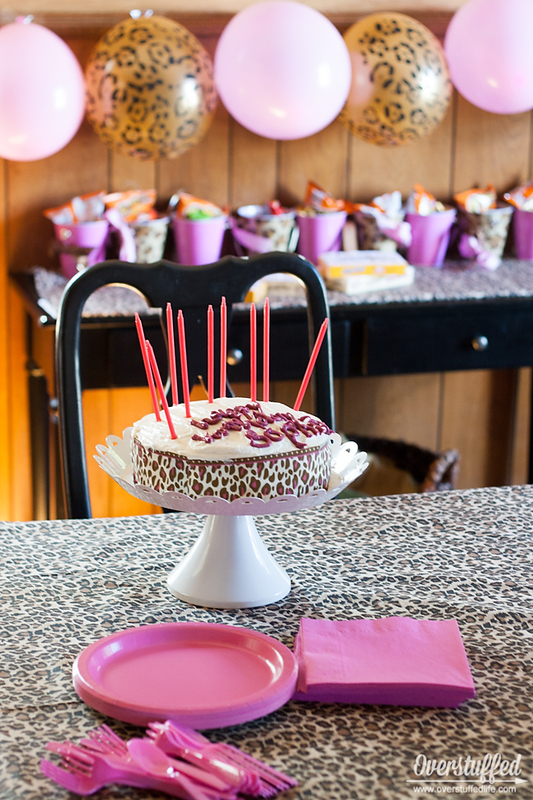 For the sides of the cake, I used this great cheetah print edible cake border. 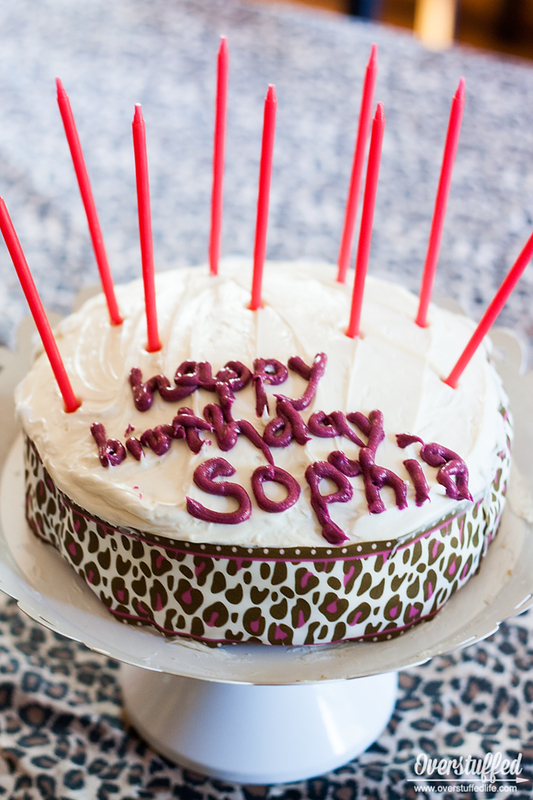 The same company also sells edible cake toppers in the same pattern, but I wanted to be able to write Happy Birthday Sophia on my cake. I probably should have gone with the cake topper, huh? 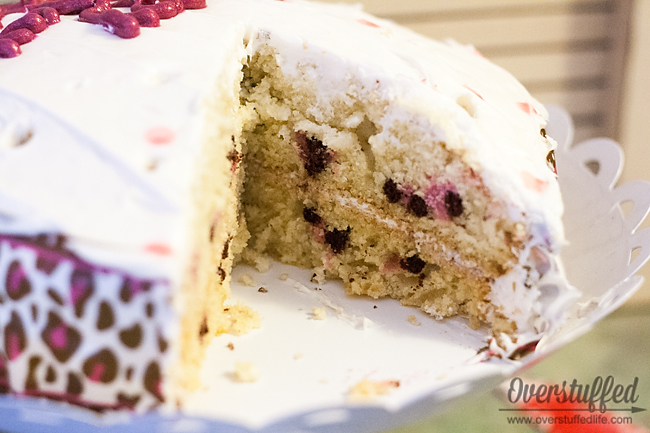 The border was pretty easy to put on, but my cakes are never very perfectly round, so there's that. It doesn't matter though! 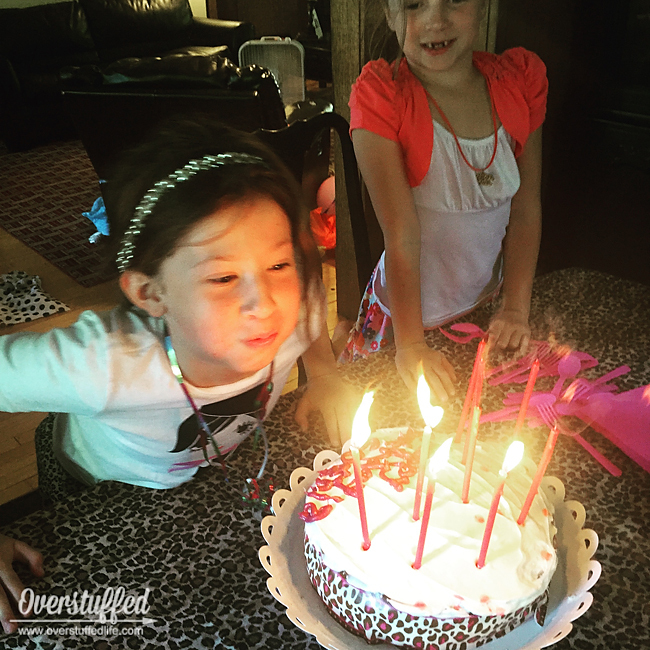 Sophia loved every bit of this cheetah birthday party and that's what matters most. Everything was really simple and quick for me, and the end result was a fabulous party and a very happy birthday girl! 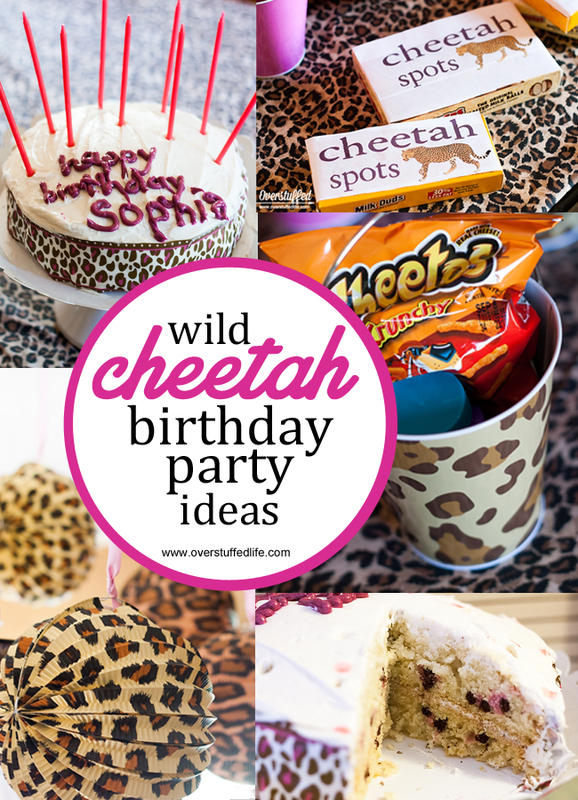 Click on any item to download or purchase for your very own cheetah birthday party!